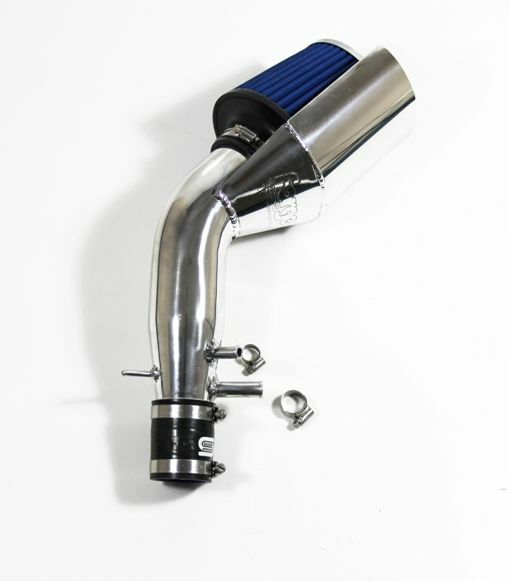 This polished aluminium intake completely replaces the restrictive stock airbox, and filters the air with a Forge cone filter which gives an excellent induction noise. It comes with a heat shield integrated into the design, so that the hot air is shielded from the filter, which in turn is mounted over the inner arch where it can draw in the cooler air from the front of the car. This kit contains everything necessary for installation, including high quality stainless steel hose clamps (with smooth inside suitable for rubber and silicon), all other fixing hardware and comprehensive fitting instructions. Approx 45 minutes to install.